We provide a range of support for Humanist Chaplains. When you join the Humanist Chaplaincy Network you become a member of a vibrant community of Humanists who share ideas and knowledge for the greater good. Detailed below are ways we help. All volunteers must be active Humanists, but if you feel that you need to extend your knowledge in Humanism, our One Life course will bring you up to speed. We run full training at our Sunrise Conference but you can also attend the course at a local group or work through the course independently. Join the Humanist Chaplain stream at the next Sunrise Conference. Sunrise runs every September or train using our online resources. They provide basic training in the practice of chaplaincy and equip you with all the knowledge you need to start volunteering. Along with the training we provide, we also provide a full set of resources to back this up as well as additional guides and material on the practice of Humanist Chaplaincy. 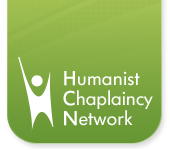 You will gain access to our online Humanist Chaplains discussion list where you can discuss issues with other chaplains and get community answers to your questions. Everyone has the opportunity to get a mentor - someone who is more experienced than they are and someone they can go to when they have a question or problem. In time, new volunteers will become more experienced and will be given their own mentees.